El célebre chef Mario Batali dejará de supervisar las operaciones diarias de su imperio de restaurantes tras reportes de conducta sexual inapropiada a lo largo de 20 años. El cibersitio Eater New York, parte de Vox Media, reportó que los incidentes involucran al menos a cuatro mujeres, tres de las cuales trabajaron para Batali. En un comunicado enviado a The Associated Press, Batali dijo que las acusaciones “concuerdan” con su conducta del pasado. A Massachusetts woman has reportedly filed a lawsuit against celebrity chef Mario Batali alleging he sexually assaulted her in April 2017 at a Boston restaurant. The lawsuit was filed on behalf of 28-year-old Natali Tene on Wednesday in Suffolk Superior Court. It states that Tene was at the Towne Stove and Spirits restaurant in Boston when she saw Batali and attempted to take a photograph of him from across the restaurant, according to a report by Boston.com. Batali then offered to take a selfie with Tene and then "grabbed and kissed Ms. Tene’s face, rubbed her breasts, grabbed her buttocks, put his hands between her legs and groped her groin area, and kept forcefully squeezing her face into his as he kissed her repeatedly," according to the lawsuit. The complaint called the disgraced chef’s behavior "brutally dehumanizing" and states that the woman is seeking damages for the emotional distress caused by the alleged assault. 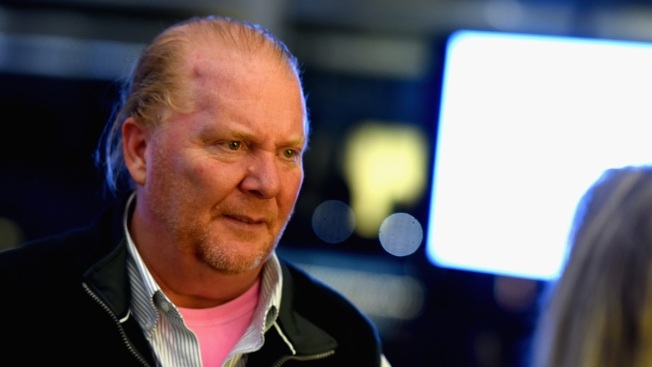 Batali has been accused of multiple sexual assaults since December 2017. As the result of the mounting allegations, the chef’s three Las Vegas Strip restaurants have shut down. The chef was also accused of drugging a woman and sexually assaulting her in 2005, a claim he denies. The chef issued a statement in late May after four women accused of him of inappropriate touching over a period of 20 years. "My past behavior has been deeply inappropriate and I am sincerely remorseful for my actions," Batali said in the statement.